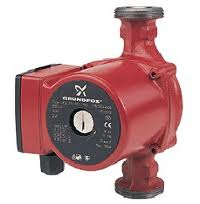 Home » Catalog » Grundfos Pumps » Grundfos Hot Water Circul.. » Grundfos UPS and Alpha 2 ..
UPS pumps are designed for circulation of liquids in heating and air-conditioning systems. Pumps with stainless steel housings are also suitable for use in hot-water service systems. See pump accessories for details.